The Tattersalls July Sale concluded with the Juddmonte filly SWERVE topping the day’s proceedings at 80,000 guineas and a total of 118 lots selling for a total of 1,470,500 guineas. The average for the day was 12,462 guineas and the median 7,500 guineas. The three day sale saw a total of 402 lots sold for 4,745,400 guineas, at an average of 11,804 guineas, and a median of 6,500 guineas. The clearance rate for the sale was a remarkable 89%. The top lot on the final day was the three-year-old OASIS DREAM filly SWERVE who was knocked down to agent Tom Malone for 80,000 guineas. "She has some good form, and seems a nice honest filly, who can run from the front," said McCabe. "She came up against a few good ones of Aidan's in Ireland and looks as though she could be Listed or Group class. She was the one we came to buy and is for a new client." Middle-Eastern interests have played a significant role this week and one horse headed for Qatar is PETER ANDERS after he was knocked down to Qatari owner Abdul Azil Al Buainain for 50,000 guineas. The 72-rated son of PIVOTAL is a half-brother to the multiple Group 1 winner ASTI and consigned by Kingsley House Stables. "He will hopefully run in December and if he is good enough he will be aimed at the Qatar Derby," said Al Buainain. Another headed for the Middle East was the GHOSTZAPPER colt GHOSTWRITING who was knocked down to the Bahrain based owner and agent Jalil Al Mallah. 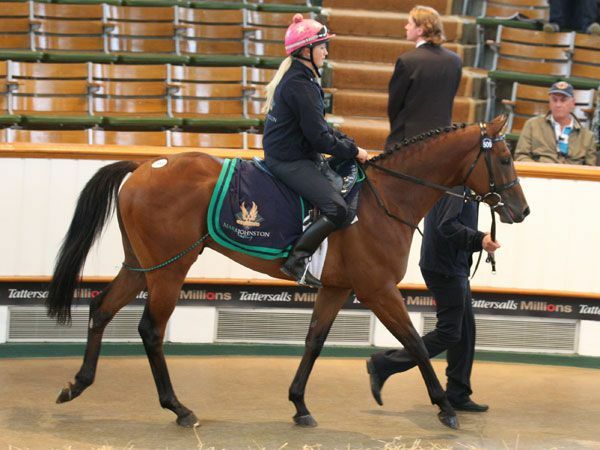 "I am delighted to have bought this horse," said successful purchaser after buying the 84-rated three-year-old colt. "We have not decided whether he will go to Dubai or Qatar, but we have lots of options with this horse. He has run on the all-weather and in Qatar we have racing on a Wednesday on the sand and on Thursday on the turf. "As this horse's family seem to like the good to firm, he should also suit the turf in Qatar." 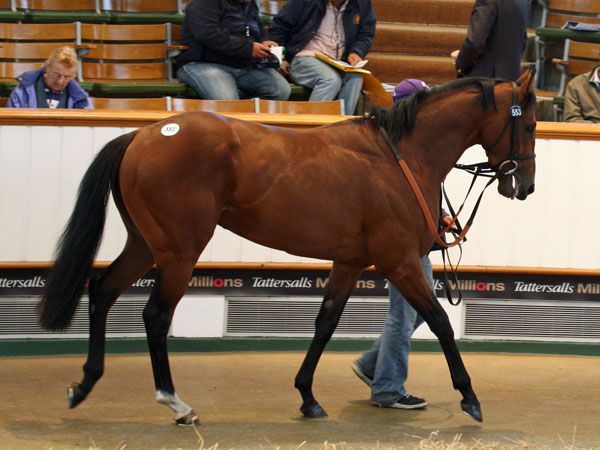 "Sometimes statistics do not tell the full story and the key indicators for the 2012 Tattersalls July Sale are a case in point. While the returns have not matched those of last year there has been sustained international demand at all levels of the market from start to finish and a clearance rate in the region of 90% tells the real story. "We would be the first to admit that this year's renewal of the July Sale was not a vintage one in terms of overall quality and the smaller catalogue also suffered from a greater number of withdrawals than usual. Nevertheless, the sheer number of overseas buyers at Park Paddocks this week, the 220,000 guineas sale topper ESENTEPE, and the healthy British and Irish participation, have all yet again demonstrated the enduring global appeal of mixed sales at Tattersalls. The clearance rate on all three days never dropped below 80% and the extraordinary 96% clearance rate on Thursday is a clear indicator of a sale which has satisfied the requirements of both vendors and purchasers alike. "Looking ahead to the yearling sales, our team of inspectors have all commented on the high standard of yearlings they have seen throughout Britain, Ireland and further afield in recent months. There appear to be some truly outstanding yearlings heading for Book 1 of the October Yearling Sale and we would be confident that the catalogues for all three books will be very well received when they are published next month."